"Catholic Cemeteries and Funeral Services of the West is committed to promoting the Order of Christian Funerals and the tradition of Catholic Burial in Catholic Cemeteries." CCFW is a membership based association where Catholic Cemeteries, Funeral Homes and supplier members come together to share their experiences and challenges. Catholic Cemeteries and Funeral Services of the West (CCFW) has its roots in an earlier organization known the Association of Catholic Cemeteries of the Northwest. 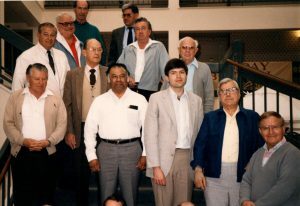 That organization, a small group of cemeterians from the states of Washington and Oregon as well as Vancouver, BC, began meeting in 1967. In the mid-1980’s Joseph Sankovich, Director of Cemeteries, Archdiocese of Seattle, began conversations with other Directors of Cemeteries throughout the Western United States and Western Canada to ascertain interest in forming a broader based organization to provide “a platform to do in-depth sharing on issues particularly germaine to the Western environment.” The first meeting of the organization that would become “Catholic Cemeteries and Funeral Services of the West” occurred on March 26 and 27, 1987 in Reno, NV at the Eldorado Resort Casino. 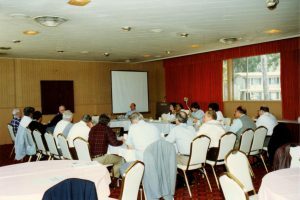 The model used as a basis for discussion was that of the Western Cemetery Alliance (no longer exists) and its relationship to the American Cemetery Association (now the International Cemetery, Cremation and Funeral Association). The group gathered decided collectively to explore the possibility of a Catholic regional group. In 2017, the group added in Funeral Services to the organization in order to bring in those who also have Funeral Homes on Cemetery Property, as well as to include Funeral Homes which whom the Diocese Cemeteries have close relationships with. 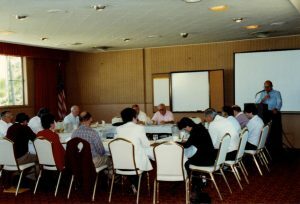 Now, more than 30 years later, CCFW still convenes under the same grassroots principals. Sharing ideas and resources with one another in a fast growing industry making developing, cutting edge technology and products available to members. To engage in any other lawful activity which may hereafter be authorized from time to time by the Board of Directors; provided, however, that the purposes for which the corporation is formed shall at all times be consistent with Section 501 (c)(3) of the Internal Revenues Code of 1986 (the “Code”), as it now exists of as hereafter amended, including within such purposes the making of distributions to organizations that qualify as exempt organizations under Section 501 (c)(3) of the Code. adopted August 1994.